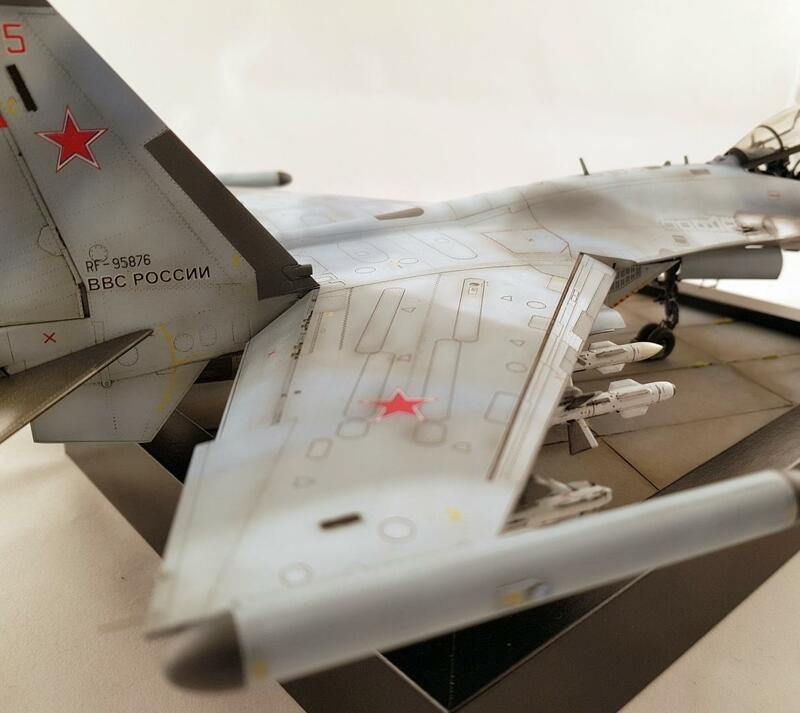 Been a few years since I built a modern jet but when Great Wall Hobby released this kit I couldn’t resist. 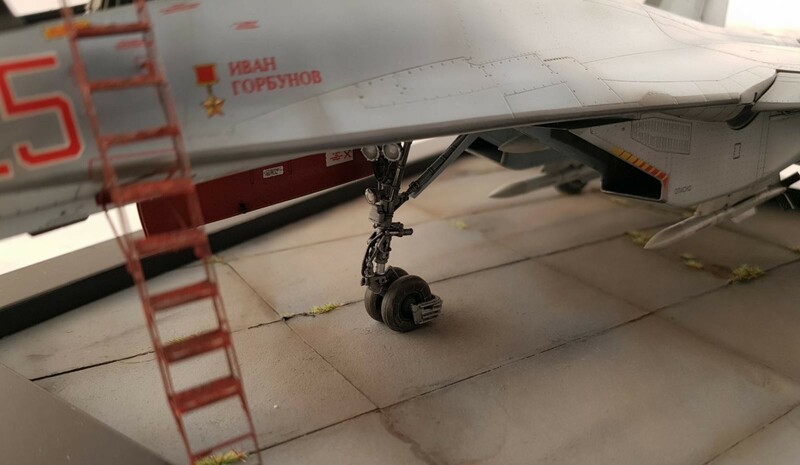 Overall a great kit, some fit issues with the engine nozzles and the missiles that don’t fit the pylons without some tweaking. Struggled to get a god finish with the supplied decals so ended up buying sheets from Begemot. Added a Aires figure for scale and a ladder from Flightpath. Painted with Akah acrylics, Vallejo Metal colors and oils. Great looking model Daniel. Love the metal work, and the overall paint work is lovely. Well done! Nice finish on the metal work on this Daniel. This builds up to a good sized plane when finished. 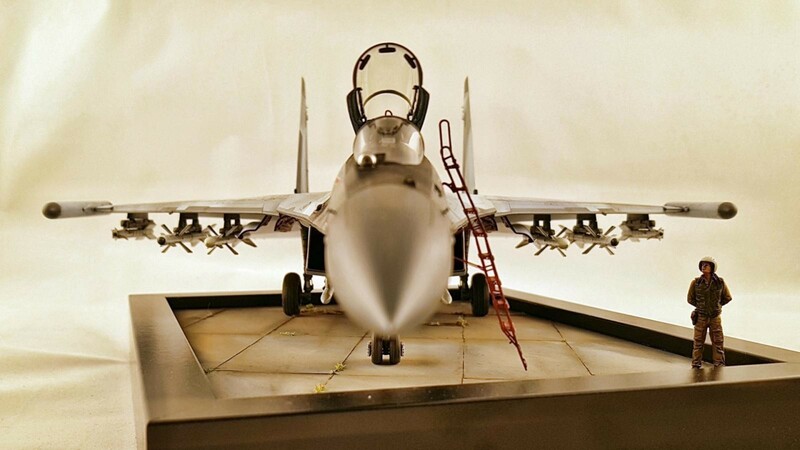 Haven’t had the pleasure yet to build a GWH kit yet though I have their excellent MiG-29 in the stash. 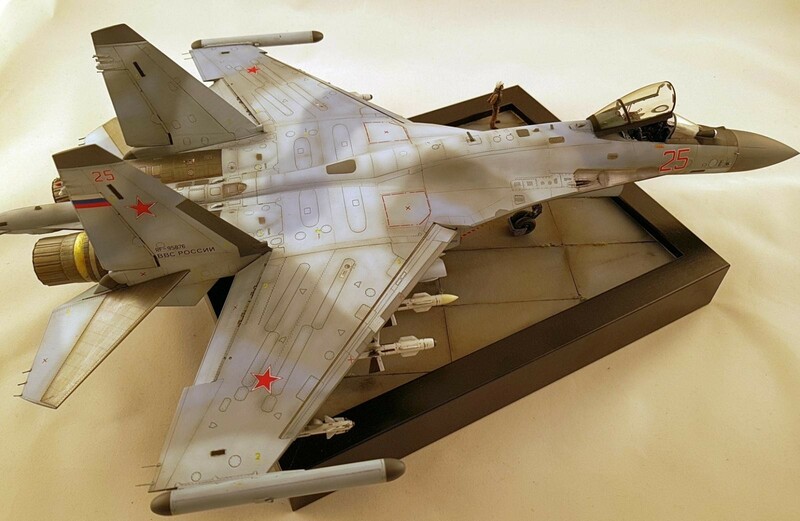 With the MiG GB going I may yet decide to build it soon. Thanks for sharing. Thank you very much! Yeah it’s big! I really think you should give the MiG a go! 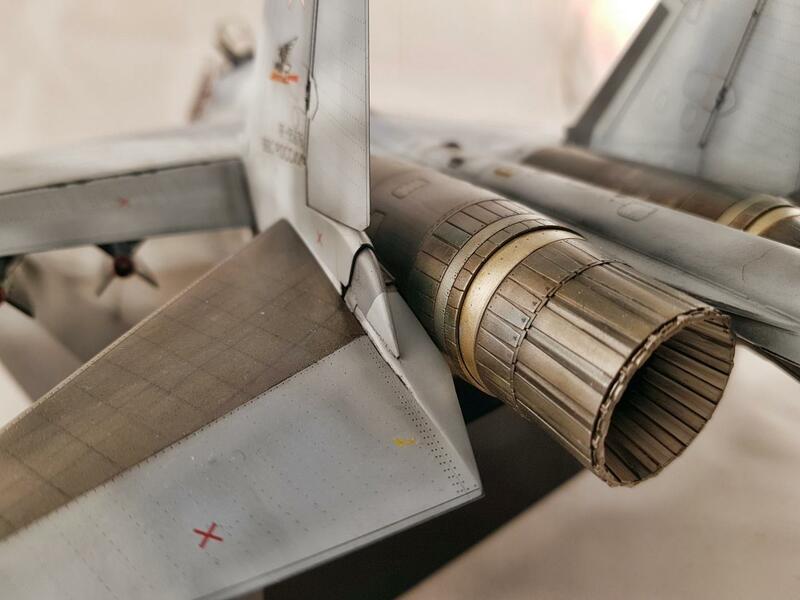 Nice piece of modeling right there, sir….outstanding build. Love a Flanker and this is a gorgeous example, Daniel. Happy you like it, thanks for taking the time to comment! Hej Daniel, looking nice just like your previous build, the Albatros. Was thinking it looks like an awfully large one seater, almost like a B-25 Mitchell. 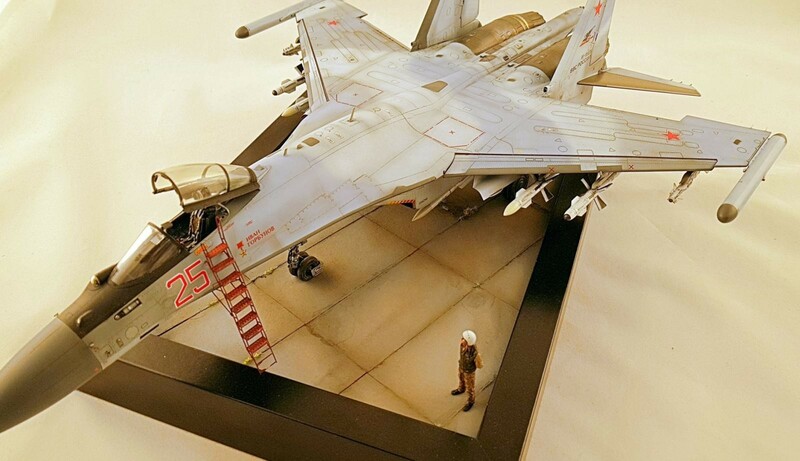 So I looked the dimensions up and they match perfectly although the span/length ratio is reversed to the Su-35! Tack! It sure is a big plane, sadly it doesn’t fit in my display cabinet. Nice comparison with the Mitchell. 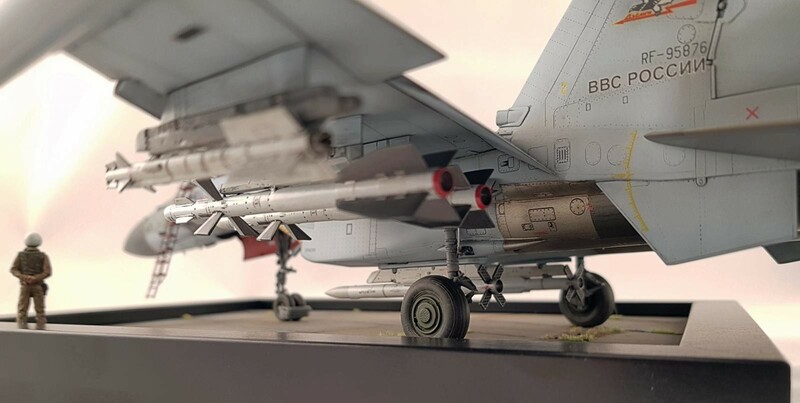 Daniel, this one really caught my eye !, excellent work, making this a very realistic model ! Yeah the Begemot decals are so much better than the ones in the kit, the carrier film on those are very thick. 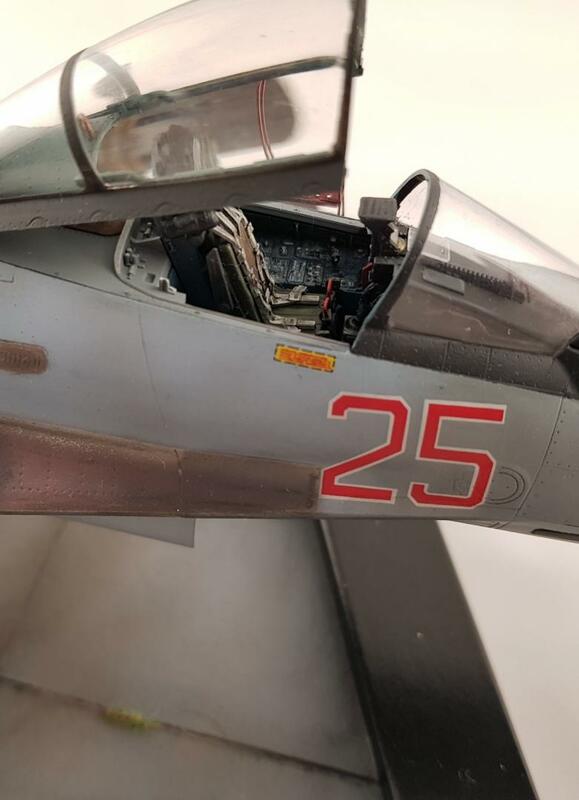 The only problem is that I wished I got the decals earlier so I could have done some modifications to the kit and made one of the earlier prototypes with the splinter camo. Sorry for the late comment! I seen this a while back and thought, I must remember to go back and comment….. Nice build! 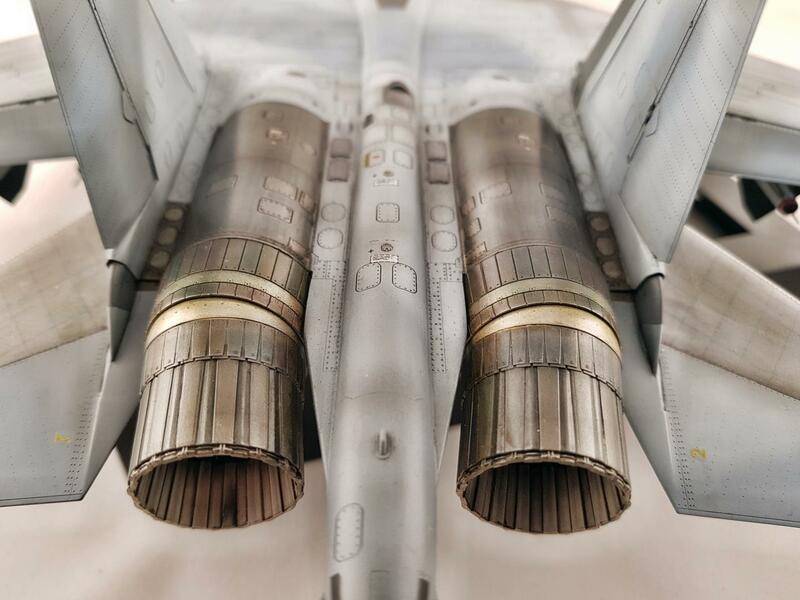 I love the Russian jets, you have done this justice!